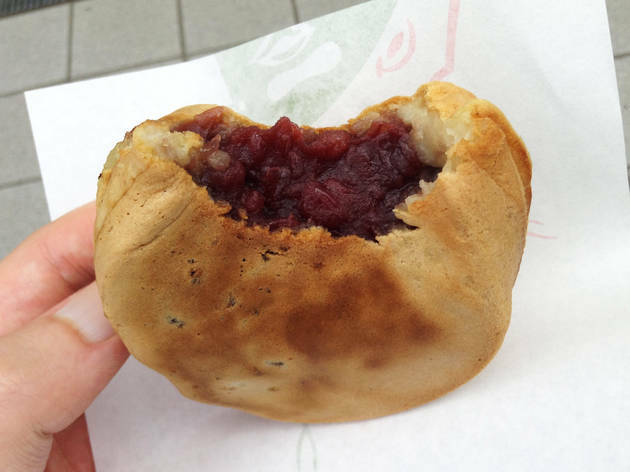 If you like anko bean paste, you’ll love Hakataya’s imagawayaki pastries, the rather generously sized, round creations filled with an impressive helping of red bean goodness. 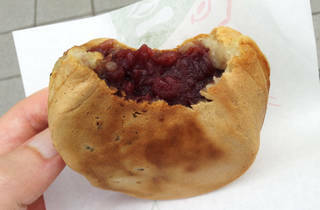 Not especially sweet and voluminous enough to keep you going for at least a couple of hours, these power snacks will only set you back ¥120 a piece. The shop’s right by the station, but can be hard to spot: look out for the black exterior and a small sales window on the north side of the Center Machiya shopping center – the shop is right in front of the Toden Arakawa line tracks.